Here is the text of the my article on Enterprise Risk within frontier and emerging markets published in this month’s issue of the Actuary produced by the Society of Actuaries, Schaumburg, IL. The Middle East is filled with interesting cities and paradoxes; none more interesting than Dubai. For a city estate with less than 3 million souls, it boasts more banks than neighboring nations with many times the population. Once upon a time in a different world, the profitability generated by regional banks in the union of city states known as the Emirates surpassed the combined profitability of the same banks in India, Pakistan, Sri Lanka and Bangladesh. The year was 2006. I had just stepped into the treasury of one of the largest banks in the Middle East. The treasurer I was meeting was a referred lead. Our conversation started of pleasantly, but then I mentioned that I built and sold risk systems for a living. “How about Bank Regulation and regulators as an incentive?” I countered. a) Risk systems are for dummies and the only reason anyone would buy them is the push by the banking regulator for the enforcement of Basel II regulations. Other than regulation, there is no business case. b) You need talent, experience and data to configure and run risk platforms and all three are missing in markets that can at best be described as illiquid, inefficient and incomplete. c) In a culture where intuition and experience were given heavier weight, a broken, inaccurate model would only go so far in a management committee meeting. d) You can’t run a credit relationship off a model. There is a reason why it is called a relationship. Over the last eight years a few things have changed. On the negative front, given market, credit and operational risk losses realized in 2008–2010, banks in the Middle East are no longer over-capitalized. Margins are significantly lower, asset write downs (provisions or increase in reserves) are higher and the financial services sector has been hit by a wave of defaults across retail and corporate segments. Where stringent immigration entry/exit controls are in place and expat cannot take exposure to real estate, retail defaults have been controlled by what one would call non-banking measures. But in cities like Dubai, Ajman and Sharjah, customers simply walked away from cars, properties, jobs and lives and went back to their own countries. Liquidity finally became an issue as banks cut their lines in response to forced rollovers, counterparty defaults and rising losses in investment portfolios. From a governance and data point of view, significant challenges still remain. Good data is a problem for reasons that we will discuss in just a moment. Compliance and governance frameworks are missing teeth and bite and the mindset around risk is very much checklist and compliance driven. Frontier Markets: Why is risk management difficult in this part of the world? Let us look at the biggest issue that comes up on a daily basis—Data. While market or price risk is only a small part of the overall exposure of a bank’s balance sheet, the absence of good data impacts asset liability decisions, the banking book, transfer pricing and, by definition, the interest rates that get charged to credit customers. Absence of good data doesn’t just impact the investment portfolios it questions the assumptions on which the bank is run. Good data is dependent and linked to the depth and activity in secondary markets and transparency and record keeping by the central bank in interbank activities. The common component across market risk is the availability of prices at which securities trade and exchange ownership in secondary markets. A challenge in the developing world is the availability of this data for treasury and corporate debt as well as listed securities. Treasury markets become doubly important because without a treasury term structure it is difficult to build a treasury yield curve and without the yield curve you can’t build zero and forward curves or price swaps, caps, floors or swaptions. Some markets have addressed the thin trading problem by creating mechanisms for quoting indicative rates and prices. For example, in one of the countries where we work with clients, the daily turnover in the three- and six-month maturity treasury bill is about U.S. $200 million. Yields range between 10- to 13-percent on the three-month paper depending on liquidity, coverage, demand and market sentiments. The two papers (thre- and six-months) are the most liquid instruments in that market and the bid-offer spread (the difference between buying and selling prices) is a few basis points. In the same market three-, five- and 10-year bonds also trade on a daily basis but with much thinner volumes. Thin to the extent that a million dollar order can move yields by 25 – 50 basis points. And while 20- and 30-year bonds get auctioned at every bond auction, there is no liquidity at all in the secondary market for long bonds. How do we fill in the gaps in the yield curve? The local association of treasury professionals in collaboration with the central bank, banks and broker community publish a daily yield curve on an indicative basis that starts from overnight rates and ends at the 30-year bond. While this works and solves 80 percent of the issues, these rates are generally unstable for larger orders. If you want to buy or sell $10- to $20-million worth of longer maturity bond, there is a good chance that you will move the market significantly since the curve is indicative in nature and not based on trading data. From a derivative pricing and valuation point of view this creates bigger problems since the notional business that you would write would ultimately need to be backed by some physical tangible bond. And if daily liquidity in markets hovers around a million dollars, by definition your appetite for writing interest rate swaps, caps and floors is limited by the dollar amount you could safely hedge in the underlying security market. These markets are relatively better markets because you have some data and a community-wide effort to fill in the blanks. There are other markets where there is no sovereign debt traded or issued per a regular schedule. No information is gathered or shared by the central bank on yield curves, auction participation, bid patterns and trends. No auctions, no indicative yields, volumes or visibility. Imagine running an Asset Liability Committee meeting without a firm market-based yield curve. From a transfer pricing point of view, the decisions you make on pool rates are estimates based on intuition and personal opinions. When the time comes to place or raise that deposit, will the market accept your intuition? The good data problem is not just limited to fixed income securities. In markets after markets, from equities to commodities, the principal issue is trading volume and liquidity. Oil is another great example. The primary crude oil blends that you can trade and work with in terms of derivative products are WTI (on NYMEX) and Brent (on ICE). 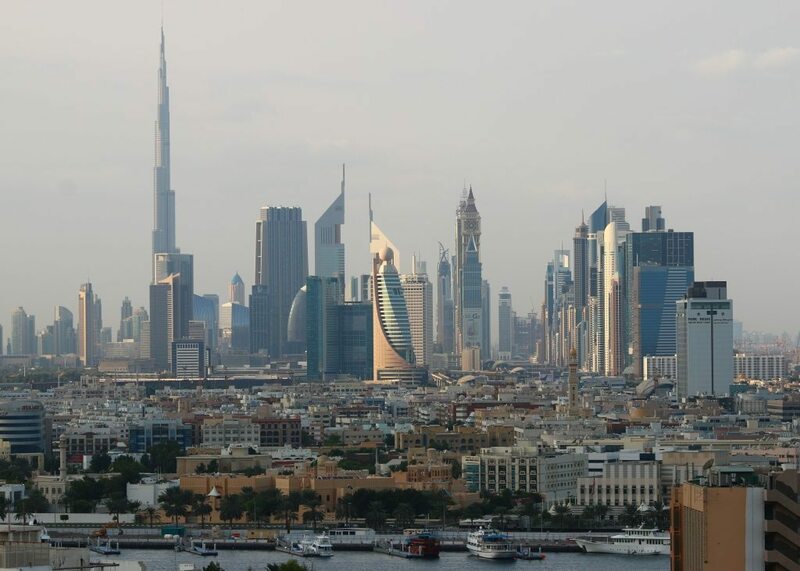 Clients in the Middle East and the Asia Pacific have exposure to Dubai Oman, Aramco, Iranian Heavy and Arab Light. While you can get price data on the underlying blends, exchange traded contracts on the above blends either don’t exist or have very limited volumes and participation. An alternate is to track correlations with WTI and Brent for each of the above blends, but the correlations are also not stable and can breakdown faster than you can unwind a position. The graph below tracks the trailing correlation of the Aramco Arabia light blend with WTI. While the average trends between 60- to 90-percent, there are instances where correlations drop significantly at short notice and stay that way. But perhaps the biggest issue, even bigger than data, is control at the board and management committee levels. While matrix reporting is common in multi-national banks, most domestic banks in emerging markets still work with a linear reporting structure. In a matrix structure the country treasury reports to the regional treasury and the country risk group reports to the regional risk group. And while there is some administrative local reporting, incentives are aligned in such a fashion that the local country and business head has only limited influence on the local risk function. In many emerging markets domestic banks are just that—domestic banks. Hence a linear reporting line that starts with the Board, flows through the Executive Committee, at times the Board Risk Committee, followed by the CEO or President, followed by business heads. The CRO and the risk management function at times report to the board and at times work with the President as their direct manager. The budget for the risk function and approval for its expenses and resources comes from the business side. And while the business side may not necessarily intend to sabotage or curtail the risk function, anything that does not contribute directly to business volume is simply overhead that needs to be reduced. The problem with this approach is that to survive, the risk function learns to align its incentives with the business side. The alternate is isolation, replacement or substitution. Eight years ago, I used to advise clients thinking of escaping from the finance function to escape to risk. The work was different, the models were more exciting. Today I tell them to stay with the business side unless they are sponsored by a powerful board that will give them the teeth to do their job. For instance, some of the most powerful CROs that I have worked with do not have the title of the CRO. They are CFOs and COOs with access to the board, and who, despite the inherent conflict, took the risk function under their protection and made it work. In most linear reporting structures, the business side prevails and generally has a bigger stick or better credibility with the board compared to the risk function. It takes a very powerful and savvy board to create incentives that align correctly between the business side and the risk function. And while it is a challenge with matrix reporting, it is a much bigger challenge with linear reporting lines. So how do we work with all of these imperfections? Michael Lewis put it perfectly in “The Big Short.” The risk is not in price volatility. The risk is the stupid trade that never should have happened. While no control function can stand in the way of a determined trader to do the trade he wants to do, an effective control function can increase the threshold of determination required to break it and detect stupid trades when they get executed. The first thing we focus on is the limits function and its ownership. If the limits function originates from risk, it will not work. The risk function cannot drive the car from the backseat. The trading function has to own the limits mechanism and it has to participate in how they are defined, set and implemented. The limit mechanism is an immunization booster. Unless the patient takes the injection, it is useless. The primary issue in these discussions is boundaries, damage control, face and blame shifting. Treasurers and traders don’t like losing money or booking losses, they dislike being hauled in front of the board or the management committee to explain the logic of every trade to someone who doesn’t understand their markets or the trading function. And yes, the implementation of the risk function is also dependent on the composition of the board and professional experience of board risk committee members. A well-balanced limits and control function focuses on detecting and avoiding the stupid trade which minimizes unnecessary face time with the board and eliminates witch hunts. It realizes that in the end the trade that will kill the bank because of incentives and controls, not because of market or price volatility. How do you convince the trading function to own the limits and control mechanism or the board to put the right profile of professionals in the board risk committee? By educating key influencers. We start off acknowledging the vulnerability of risk models, our dependence on inaccurate or indicative data and the sensitivity of our models to market movements and assumptions. The objective is to build the right level of skepticism in our audience and highlight the importance of detecting, reporting and managing exceptions. The reason why we put board members to sleep is because they can’t follow the language and terminology of risk or see the relevance of our approach. Some of this gets fixed by sessions focused on walking them through notation and frameworks while the rest gets addressed by reviewing cases where their bank lost money or had a near miss and what the board can do to learn from its mistakes. Qualifications on valuation and fair value opinions of vanilla as well as complex derivative transactions have become an important part of our work. Qualifications are important not just for limiting professional liability but also for acknowledging the elephant in the room, which is my model is broken and will only work in instances when markets do not misbehave. Qualifications become even more important in emerging markets when all we have is indicative data. Follows is a standard set that we use as part of our opinions. a) Valuation models for such products vary in terms of approaches and the choice of assumptions can result in a broad range of valuation results. b) Prices from such models are indicative in nature and may differ from market prices due to changing market, liquidity, interest and foreign exchange rates environment. c) The indicative valuation is also based on a mark to market based approach and will differ from execution prices since it makes no adjustments for bid-offer spreads which will vary from one counter party to another. Since I started this article with a conversation, I think it would be appropriate to end it with another conversation. This time though the city is Karachi, Pakistan, my home town; the year 2007. The bank is a small institution in turnaround mode being run by a President who himself had been a treasurer, supported by a CFO who had recently doubled as a CRO. When the call came in for a proposal and a presentation we hardly expected it. When the sale happened and the implementation became one of our smoothest in history I asked the CFO how he justified the expense and resources associated with our risk platform. Where was the business case? I still remember the response he gave. Jawwad Farid, FSA, is the founder and CEO of Alchemy Technologies, an enterprise risk practice that builds and deploys risk, treasury, market and credit risk platforms. He is the author of Reboot, Understanding Commodities Risk, and Risk Applications and Frame works.